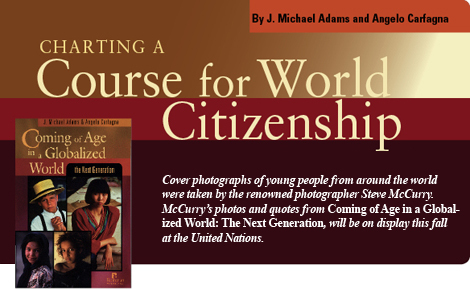 The following is adapted from Coming of Age in a Globalized World: The Next Generation, in which FDU President J. Michael Adams and FDU Magazine Executive Editor Angelo Carfagna explore the interconnections created by globalization, examine the case for world citizenship and describe possible approaches to preparing students for world citizenship through education. umans are pathetic prognosticators. Whenever we think we have a handle on what comes next, we get thrown for a loop. West German Chancellor Helmut Kohl said in 1988 that Germany would not be reunited in his lifetime. The Berlin Wall fell the next year. But while we can’t figure out the future, we can identify challenges and size up the choices facing us. The list of challenges is unfortunately long and includes terrorism and violent conflict, growing economic inequalities and the threat of pandemic diseases and environmental crises. Many challenges we face are the result of what we refer to as globalization. We define globalization as the forces of integration and interaction that link the global community. Due to revolutionary technological developments, space and distance matter less. It’s actually a long historical process, however, what’s new today is the rapid speed of the process. Globalization consists more specifically of economic, political and cultural connections. It brings with it great benefits, including increases in financial growth and production, the spread of democracy and humanitarian movements, increased access to information and education, and rising living standards for many. However, it also has resulted in great inequalities, abuses of the environment, threats to local cultures and the exploitation of labor. The common theme with the major challenges facing us is that they do not stop at borders. They are problems without passports, and they impact the entire world community. 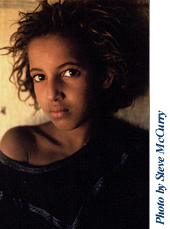 To deal with these problems, we must approach them as members of the world community. In other words, we must become world citizens. Citizenship is often associated with a particular political region, but limiting our responsibilities to those within a political boundary in an era of global connections limits the richness of human opportunity and the potential for our world. We must expand our sense of community and sense of belonging to all of humanity. World citizenship is not a new idea. Many great thinkers across centuries and cultures have spoken to the spirit of the concept. A world citizen is someone who appreciates the interconnected nature of our planet. A world citizen is committed to acting on behalf of humanity everywhere. Citizenship is often associated with particular rights and responsibilities. What rights do world citizens have? Despite the many varieties of cultures on the Earth, we all share the need for nutrition, shelter, economic and physical security, a healthy environment and freedom from disease and suffering. It’s probably also fair to say that we all want political, civil and legal institutions that provide meaningful protection and the opportunity for self- and collective expression. the right to property, and the right to an “adequate” standard of living and to education and equal pay for equal work. The declaration also prohibits slavery, discrimination and torture, as well as arbitrary arrests. If we agree that basic universal rights exist, then our responsibilities as world citizens essentially involve acting to guarantee that people everywhere enjoy these rights.